The machine comes with 50 different exercises. This compares to 20-30 on many competitor machines. The best workouts for the Bowflex PR3000 enable users to combine toning and strengthening. It is really a very versatile machine for a total body strength workout. 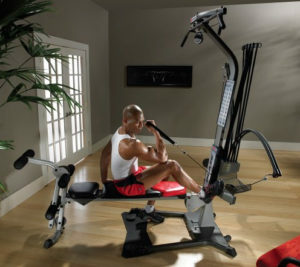 Bowflex is known for its quality, durable machines and the PR3000 makes a welcome addition. It is positioned between the Blaze and the Xtreme 2SE in the full Bowflex line. This makes it a great mid-range machine. If you feel ready to make your choice of home gym now, click this link for the Bowflex PR 3000 best price on Amazon and get great discounts. Who is the Bowflex PR3000 best suited for? The core audience for the Bowflex PR300 will be people who want a full circuit training workout from home. The machine is not designed for serious bodybuilders. Instead, it is better for people who are looking to improve their overall level of fitness. You can easily design a 30- or 45-minute workout with the machine to hit all major body parts. It has exercises for arms, legs, chest, back and shoulders. You can use these exercises for toning or strengthening. To help you, this all-in-one home gym comes with an instruction book with suggested workout routines. The machine can deliver anywhere from 5 to 210 pounds of resistance. It can also be upgraded to 310 pounds, which is important if you are looking primarily to build strength. 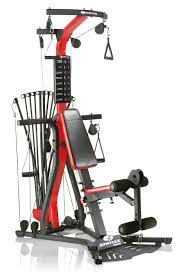 The machine also includes a vertical bench press for upper body work and a lat pulldown station. There are also upholstered roller cushions for leg extensions and leg curls. This makes the machine a really good one for people who want to focus on leg exercises. As you can tell from their names, the PR3000 and PR1000 are relatively similar in design. The PR3000 is an upgrade from the PR1000. It offers 50+ exercises, while the PR1000 only offers 30+ exercises. There is also another important distinction. This is the fact that the PR3000 has a vertical design, but the PR1000 has a horizontal design. Just looking at photos of the machines, you can see the difference. This design difference will influence the types of workouts that are optimal. In general, the PR3000 is better for the back, shoulders, and legs. If you are thinking the Bowflex PR3000 is right for you, click the link right now to get the best available price and current discounts on Amazon. The PR1000 is better at working the arms and chest. Also, the PR1000 has a cardio rowing machine, but the PR3000 does not. Thus, if you want to combine cardio with your workout, the PR1000 has more flexibility. With the PR3000, you would need to either buy a separate machine for cardio or simply start a running or biking regimen to complement your weight work. The design difference (vertical vs. horizontal) also influences the footprint of the machine in your home. The PR3000 requires a total workout area of 96 x 78, while the PR1000 requires a total workout area of 103 x 80. This may not seem like a major difference in size, but it can really influence where you decide to put the machine in your home. In terms of range of exercises possible, the PR3000 is superior in terms of both the number (50 vs. 30) and the total resistance possible. That’s because the PR3000 can be upgraded to 310 pounds of resistance, but the PR1000 cannot. (However, reviewers on Amazon suggest that upgrades are “unofficially” possible using techniques not recommended by Bowflex). The PR3000 is really a versatile machine. If there are any cons, it would be the lack of a cardio rowing machine. This means that you either have to invest in another machine that takes up even more space, or commit to a running, bicycling and swimming program instead. Another potential drawback includes the different cables that are required to do some of the exercises. As reviewers on Amazon point out, it can sometimes be confusing. There are low, medium and high cables. However, most of this confusion can be solved by following the machine’s workout instruction manual. Finally, even the five-star reviewers note that this PR3000 is not intended for serious bodybuilders. If you are only looking to gain muscle mass, this might not be the best machine for you. However, it should be pointed out that the Power Rod technology used by the machine takes muscles through a full range of motion. This means that you are giving them a more intensive workout than if you were using free weights. With the Power Rod technology, you are not getting an “assist” from gravity for half of the exercise. How to use the Bowflex PR3000 in your home gym. Thanks to the Power Rod technology, the PR3000 is very quiet to operate. You can use it at home even when people are sleeping. This is very convenient, especially if you have a busy work schedule. Due to its sleek overall look, the machine can be used in just about any room of the house. You do not need a basement or dedicated gym for it. You could put it in your living room. 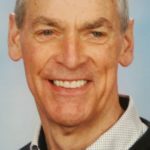 When designing a workout for the PR3000, most people find that a 30- or 45-minute workout is more than enough. That brief workout can deliver a full, all-over strength and toning routine. You will begin to see the toning and fitness gains almost immediately. For anyone looking for a truly dynamic workout machine capable of delivering 50+ exercises in a compact form, the PR3000 is a great choice. The Power Rod technology will take your muscles through a full range of motion. You can hit every major group of muscles. While it won’t prepare you for a bodybuilding competition, it will give you a total, full-body workout that will tone and strengthen. On Amazon, the PR3000 has a current ranking of 4.4 out of 5. More than half (58%) of the customer reviews are 5-star, and another 28% are 4-star. Now is the best time to get your home gym. Click here now for the Bowflex PR 3000 best price on Amazon and get great discounts.